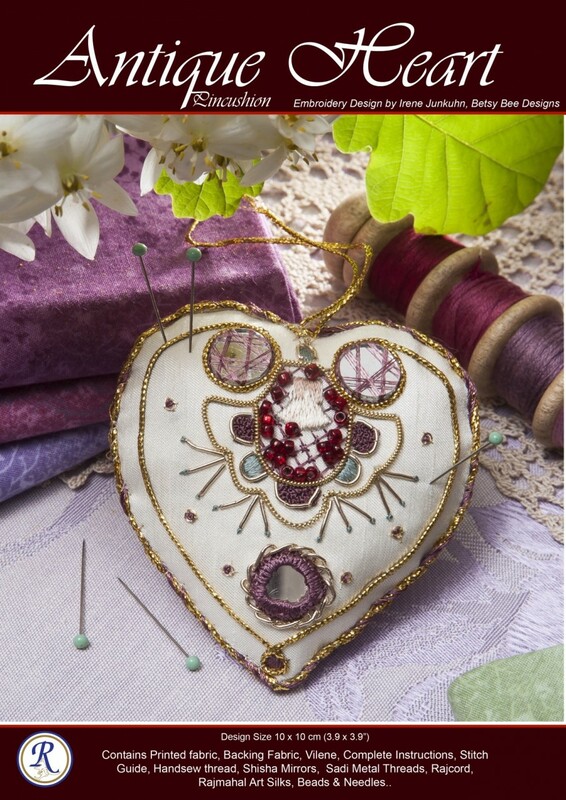 This elegant Goldwork pincushion compliments the Scissor Chatelaine that was also designed by renowned Designer Irene Junkuhn. This piece features Rajmahal Art Silk, Sadi metallic threads and our enchanting Shisha glass mirrors giving this piece the charm of the orient. We are sure you will find it hard to stop at just one of these gorgeous pincushions. Contains Printed Fabric, Complete Instructions, Gold Cord, 3 Shisha Mirrors,Vilene, Stitch Guide, Gold Metal Thread, Gold Sadis, 4 Art Silks, Lining, Beads & Needles. 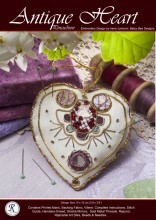 Click the button below to add the Antique Heart Pincushion Kit to your wish list.